Dhoom 3 first teaser trailer hits 6 million views in less than six days. Dhoom 3 first teaser was released on September 5. In less than 6 days, it grabbed 6 million viewers and now crossed 7 million and keeps counting. Now, Indian cinema is developing with a better quality and recently RajiniKanth’s ‘Kochadaiyaan’ has grabbed 1 million views in a single day. Thus, more exciting movies are expected by the end of 2013. Dhoom 3 is a most expected thriller movie directed by Vijay Krishna Acharya. Dhoom series really an action movie enjoyed by all. John Abraham and Hrithik Roshan played the negative role in first 2 version of Dhoom series. In Dhoom 3 Aamir Khan plays the negative role. Aamir khan looks great with his six pack abs and chiseled body. Aamir is making some great stunts which makes him look like a professional biker. The movie looks in a larger way than the previous versions of Dhoom. In trailer Katrina Kaif looks hot in white and black and reports say Katrina Kaif is performing some dardevil stunts in the movie. Abhishek Bachchan and Udhay Chopra plays the role of ACP Jai Dixit and Ali as same in the previous franchise of Dhoom. Look at the teaser of Dhoom 3. Dhooms 3 is expected to hit the screens on December 20. Dhoom franchise started by John Abraham from 2004 and making its way. Dhoom 3 is taken with the budget of Rs. 150 crore ($23 million). Music of Dhoom3 is done by Pritam, who made his music for the previous two franchise of Dhoom. The studio and distribution are done by Yash Raj Films. Jackie shroff and Tabrett Bethell are also starring in this movie. 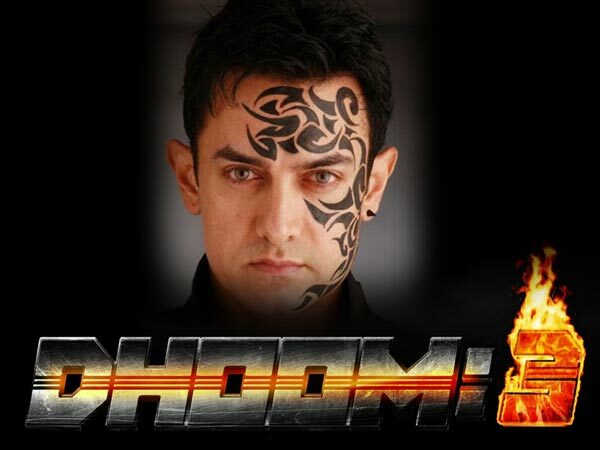 Dhoom 3 was earlier planned to be released on Christmas 2012 and then was expected at early 2013 and finally going to hit the screen on December 20 of 2013. First look poster of Dhoom 3 had Aamir Khan in back pose with the words “This year will end with a Dhoom”. You can see the same words in the trailer too. As the words say, Dhoom 3 is going to hit the screens on December 20. Everyone is eagerly waiting for the movie on screens. Readers share your views on Dhoom3 and how was the first teaser? Do you like it?